QC Flooring are the number one choice for carpets, rugs, laminate flooring, wooden flooring, and hardwood flooring in Milton Keynes, Buckinghamshire. Our flooring caters to all needs, so whether you are looking for commercial flooring, industrial flooring or flooring for domestic purposes, QC Flooring have all the required skills and experience to provide our customers with top quality flooring. To see how brilliant our flooring is, feel free to come down to our showroom in Milton Keynes, which is open for the public to browse through and enjoy our beautiful flooring. Once you have visited our showroom in Milton Keynes, Buckinghamshire, you will see the wide variety of carpets, rugs, hardwood flooring, laminate flooring, and wooden flooring QC Flooring have to offer. When searching for carpet fitting, carpet showrooms or any kind of flooring in Milton Keynes, be sure to choose QC Flooring as your professional and top standard flooring providers today! Our showroom in Milton Keynes is open for the public to have a look through to find the perfect flooring of their dreams. Come along to our showroom in Milton Keynes, which is open Monday to Saturday 9am-5pm. On your visit you will be amazed at the wide variety of laminate flooring, wooden flooring, hardwood flooring, carpets and rugs QC Flooring offer. 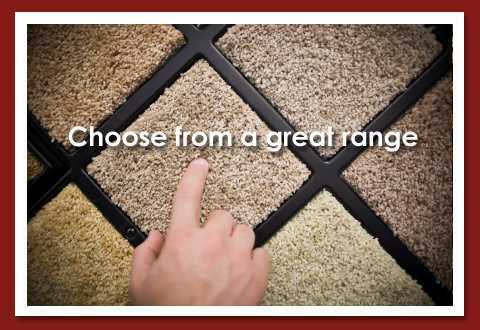 Don’t miss out, visit our carpet showroom today! We have a huge choice of commercial flooring, industrial flooring, and domestic flooring, guaranteed to suit all flooring purposes in Milton Keynes. No matter if you are searching for wooden flooring, laminate flooring, carpets or rugs, our showroom is open for the public to browse through and find the perfect choice of flooring for you. Our showroom in Milton Keynes, Buckinghamshire offers a vast range of flooring, and will most certainly meet all of your needs and requirements. Would you like some evidence? Then why not visit our showroom in Milton Keynes today, be prepared to be amazed! We’re blessed with a truly fantastic team of specialists here at QC Flooring, all of whom strive to achieve perfection with every single one of the services that we offer. This is one of the main reasons why we firmly believe that we should be your first and only port of call for karndean flooring, solid wood flooring, rugs, hardwood flooring, laminate flooring, wooden flooring, commercial flooring, industrial flooring and carpet fitting, anywhere in the Milton Keynes area of Buckinghamshire. We have a real passion for what we do, and we feel that this shows in every single one of the services that we offer. We also pride ourselves on the high level of service that we provide alongside all of the flooring services that we offer, and on the fact that we constantly go the extra mile for our valued Milton Keynes-based customers, time and time again. - Professional Team: We have a really professional team of experts here at QC Flooring, all of whom strive to achieve perfection with every single one of the flooring products and services that we offer. - Highly Experienced: We’ve been operating as flooring specialists in Milton Keynes for many years now, meaning you can rest easy with the knowledge that you’re in good hands with our experienced team. - Passionate: As we’ve mentioned above, we’re very passionate about what we do and the flooring products and services that we offer throughout Milton Keynes and the surrounding areas. - Competitive Prices: We are proud to say that we offer competitive prices on all of the services that we offer throughout Milton Keynes and Buckinghamshire, such as karndean flooring, solid wood flooring, rugs, hardwood flooring, laminate flooring, wooden flooring, commercial flooring, industrial flooring and carpet fitting. 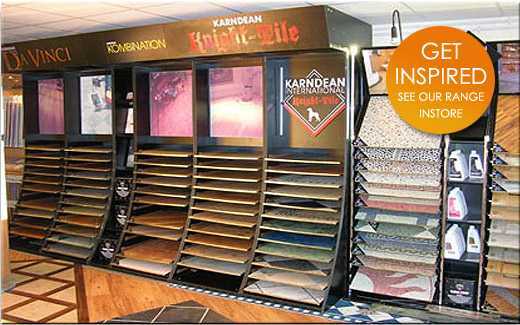 If you’d like to find out more reasons to choose us for karndean flooring, solid wood flooring, rugs, hardwood flooring, laminate flooring, wooden flooring, commercial flooring, industrial flooring and carpet fitting in Milton Keynes, feel free to get in touch with our team. We’d love to help you! QC Flooring would like to invite all past, present and potential customers a visit around our showroom in Milton Keynes. So please feel free to come along to our carpet showroom and view all of our hardwood flooring, laminate flooring and wooden flooring today! If you would like further information on our flooring service or details on our showroom, please be sure to give us a call today! You can also view our website and take a look through the different types of flooring we offer. QC Flooring are happy to help both on the phone and in our showroom, to ensure you make the most of our flooring service in Milton Keynes, Buckinghamshire. Excellent company from store front to fitters everyone very polite and very helpful sorting a fitting date to suit and very competitive prices really pleased with carpet would use them again. Brilliant customer service from start to finish. Great support throughout our order. Worked with us to ensure fitting date was convenient for us. Quality of flooring supplied was brilliant. The flooring specialist David was great he fixed and treated our underfloor and fitted our new flooring to the highest standard. Could not recommended them enough, will be using them for the rest if our house.